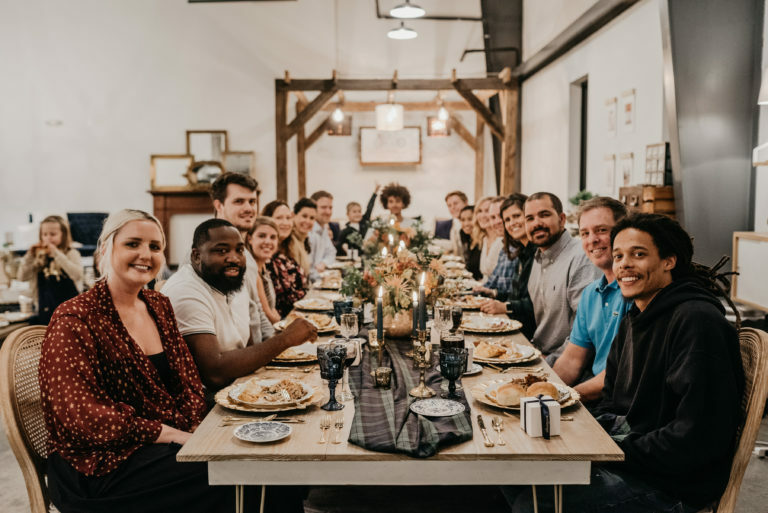 Earlier this November, our Greenhouse team gathered at the showroom to host our first annual Friendsgiving! We invited all of our families, made a side dish or dessert, and came together to enjoy a meal and each other's company. It was a great night celebrating our survival of the busy wedding season and getting to spend time with one another. 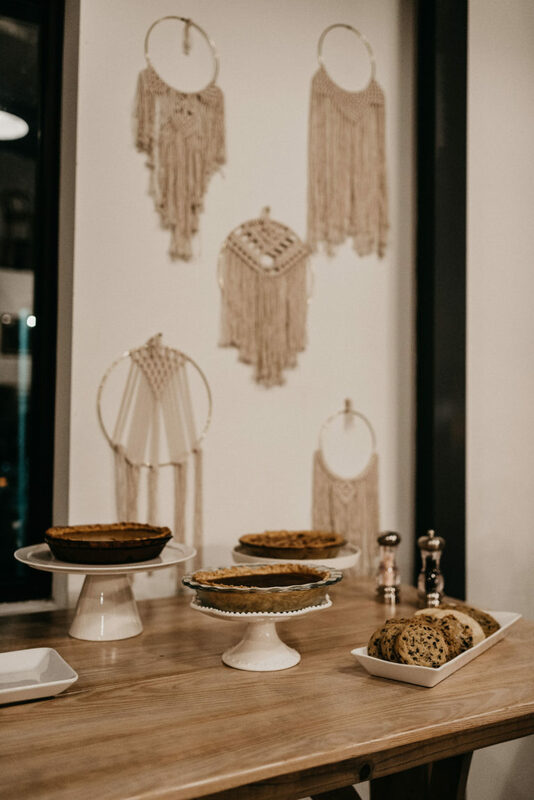 We love hosting small parties and gatherings at our marketplace, so it was a blast that we got to host a party for ourselves! I couldn't have made any of this happen without the help of some amazing people and vendors! First off, thank you to Pam Denney who cooked the turkey (the most important part of any Thanksgiving meal,) and who helped me pull all of this together! 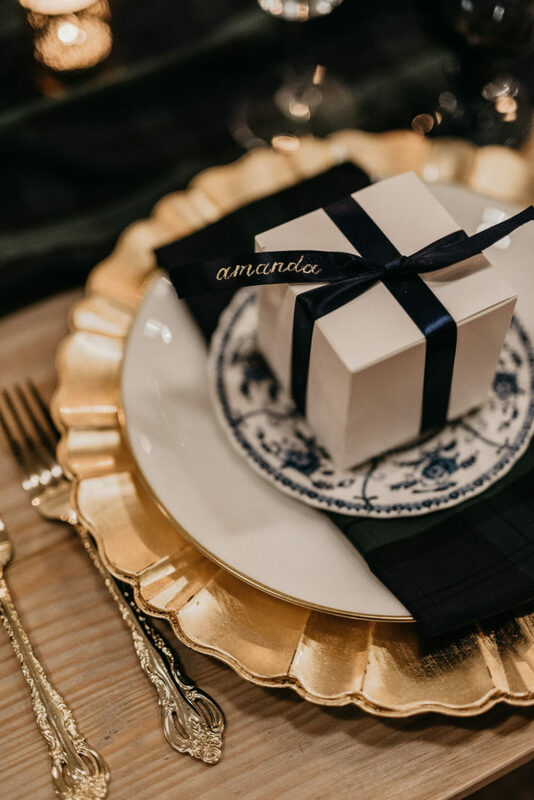 Danielle of Mason Dixon Designs contributed the most beautiful calligraphy on our place card gift boxes that were full of treats! Susan of Specialties Florals and Events always creates the most stunning centerpieces and this time was no different! 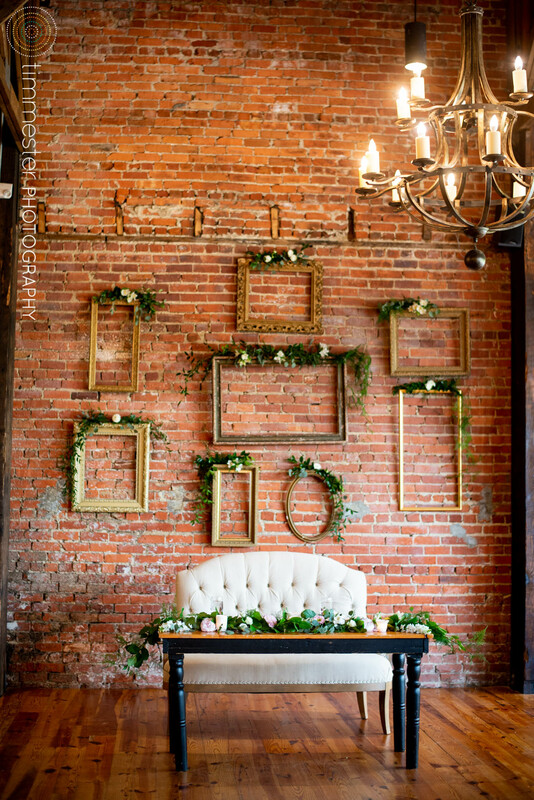 And lastly, we wouldn't have these gorgeous images without Sam Floyd Photography! 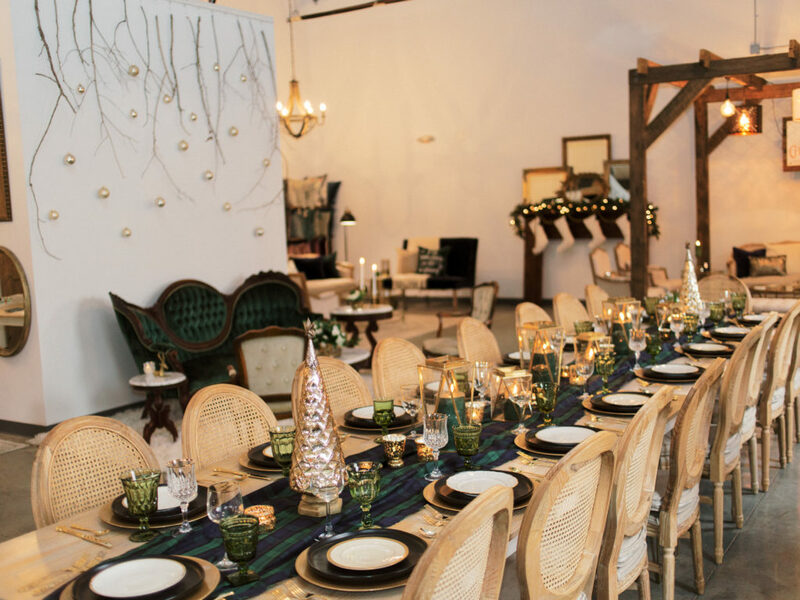 If you would love to host a party at our space, please reach out to Holly at holly@greenhousepickersisters.com! We would love to chat with you and have you out to our space! Don't forget that we our hosting our Winter Open House and Market tomorrow night December 6th from 7PM-10PM. We would love to see you there!! 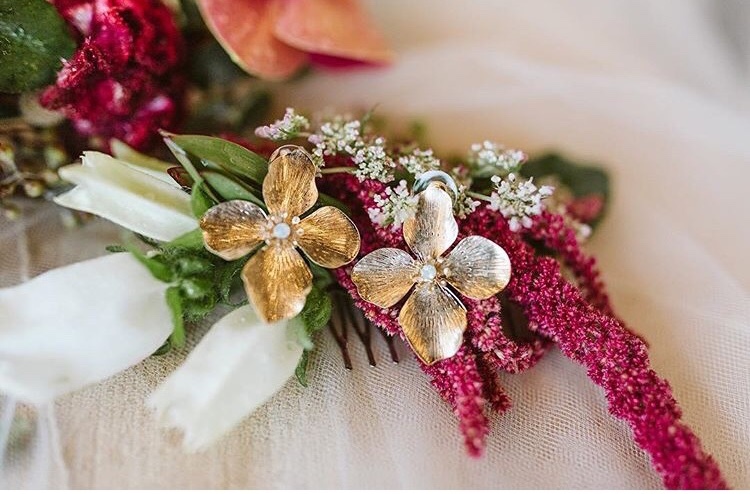 We all know that when you dream about your big day, you envision the dress, the flowers, the venue, and how you're going to walk down the aisle. But do you ever dream about where you and your partner will sit? 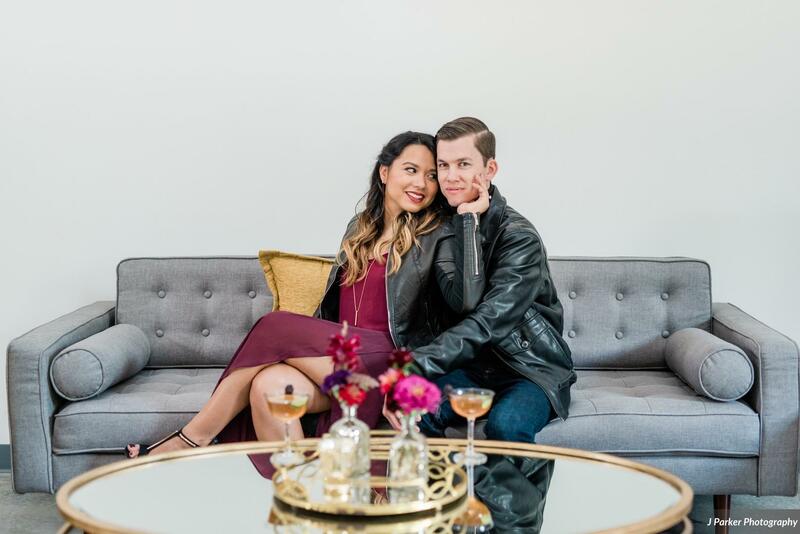 Not many people do, but figuring out where you two will sit can be a great way for you to be creative and have that romantic space for you both. There are plenty of options for your sweetheart seating, but there is usually the two more popular types. You can always opt for the more intimate sweetheart setting, where it is just you two at your own private table. 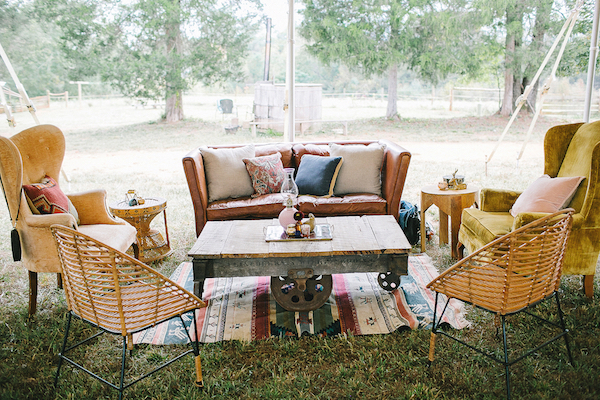 That table could be tucked away from the rest of your guests or right in the middle. Or you could always choose to do the head table option. Both of you are seated with your best friends and bridal party so you are never away from all of the fun. There are pros and cons to both options, so just have to figure out what feels right to you. 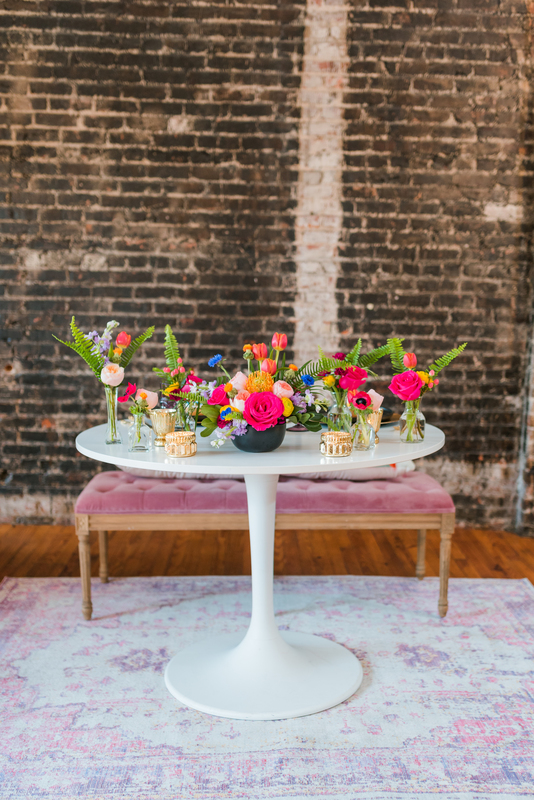 Here is a bright, colorful, and fun sweetheart table featured at The Stockroom. 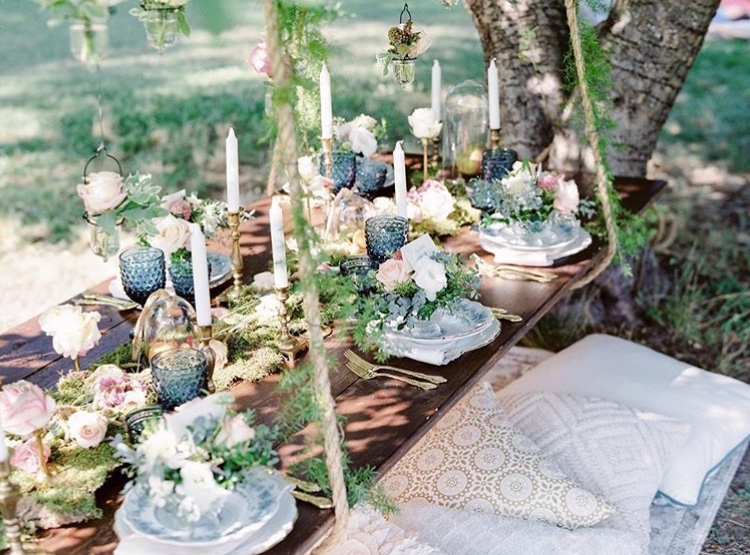 They used our Ingrid Table with the Elaine Bench to create a new take on a sweetheart table. 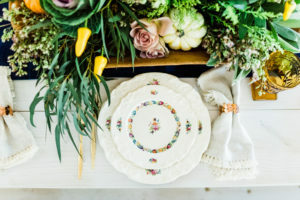 Below is a really unique take on a head table. 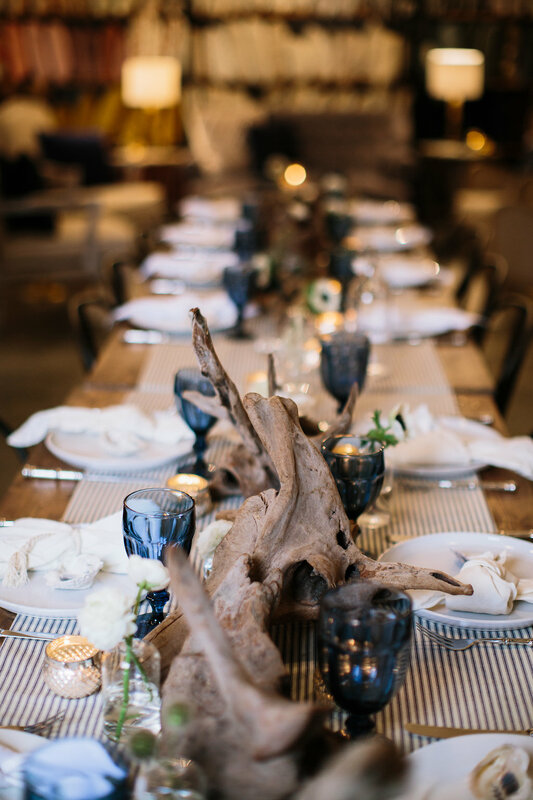 Amy of Plume Events created a head table with different upholstered furniture that created a cozy, yet chic look. 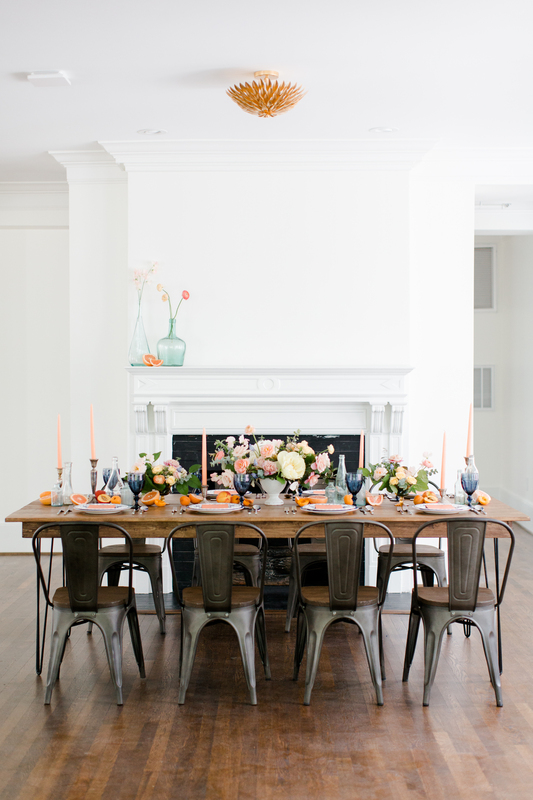 Our Stacey Chairs, Blaire Loveseat, and Erin Chair were the perfect pieces for this classic pairing. 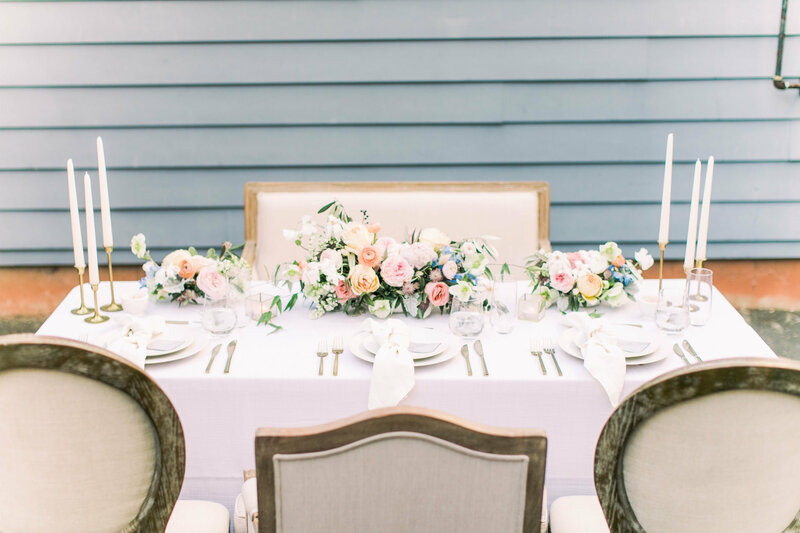 At the beautiful McAlister-Leftwich House, Magnolia and Grace events put together an industrial, yet classic head table inside of this historic home. 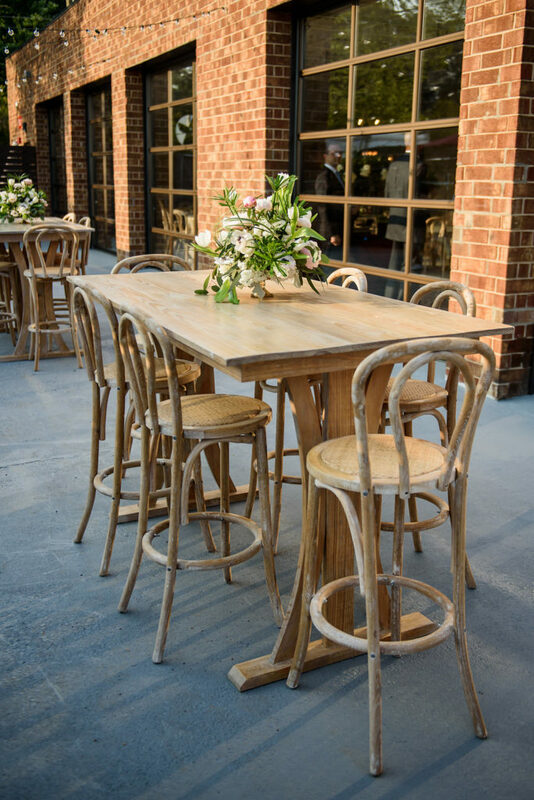 Our Industrial Farm Tables with our Ezra Chairs are the perfect juxtaposition of modern and classic in this setting. 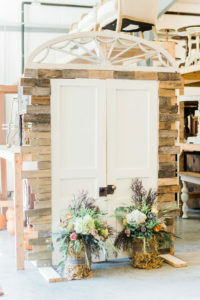 Whether you choose to do a more traditional sweetheart table or a head table, your possibilities to create a unique setting are endless. 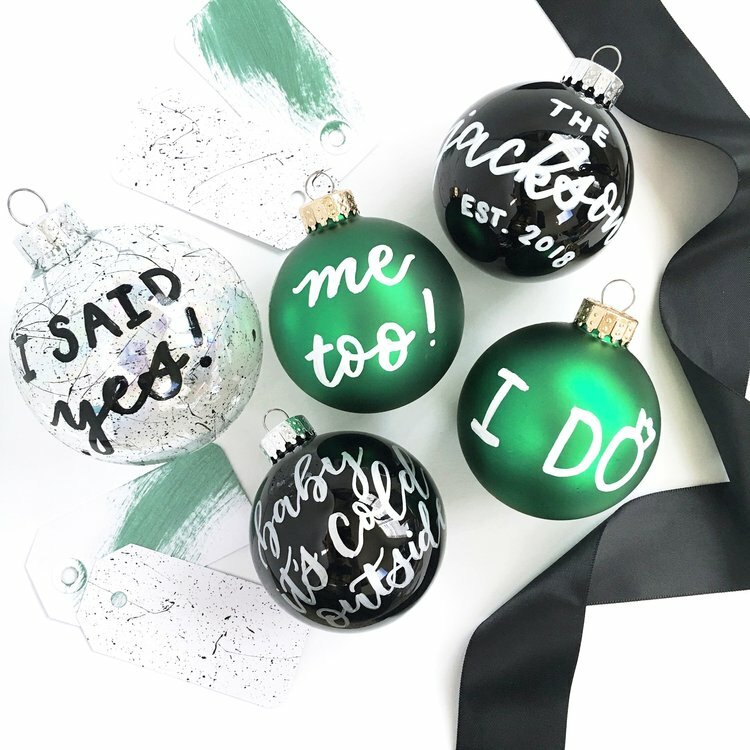 Start thinking about how you can create something that represents the two of you and your love story, and how that best fits into your reception. Then come see us so we can bring that dream to a reality! It's that time of year when it starts getting darker earlier, it's finally getting cooler (some days,) and it's that time to start thinking of your plans for the Holidays! 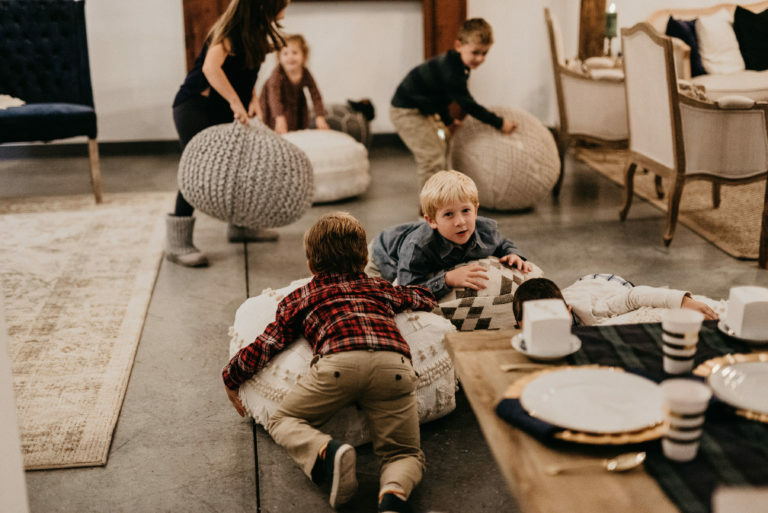 We love this time of year when we get to gather with our friends, coworkers, and families to relax, now that the busy wedding season is finally over, and enjoy one another's company and the holiday. 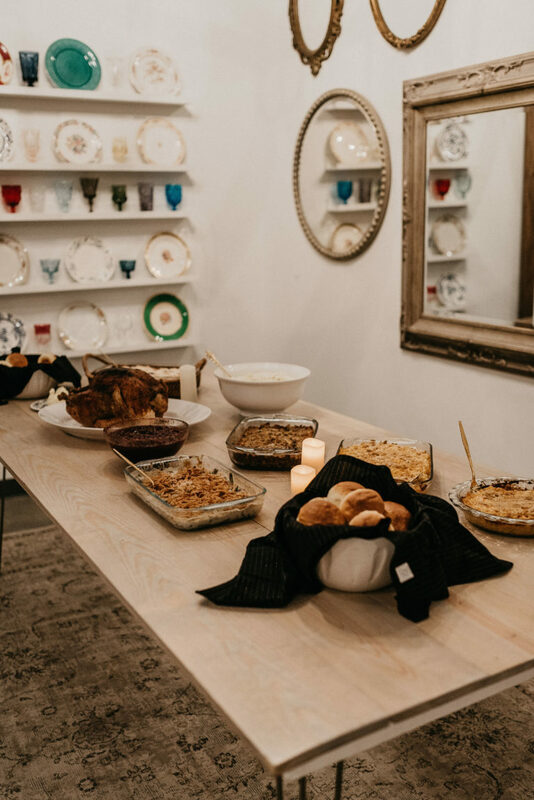 Whether you are thinking about Thanksgiving, or you've already skipped straight to Christmas, we want you to consider us for your next holiday event! 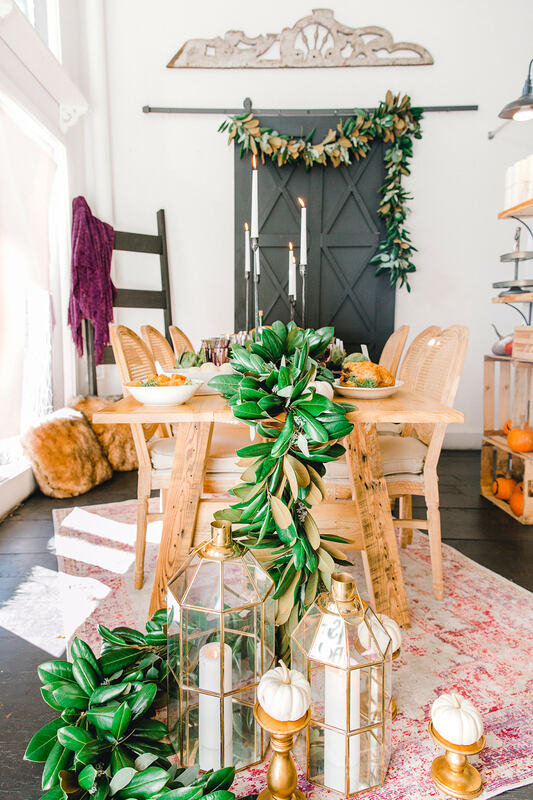 Our Marketplace is the perfect space to host your holiday dinner, get together with those girl friends, or gather with your family for an awesome experience. With the ability to host a gathering and not have to worry about the decor or having all those people in your house, this is the perfect space for you! 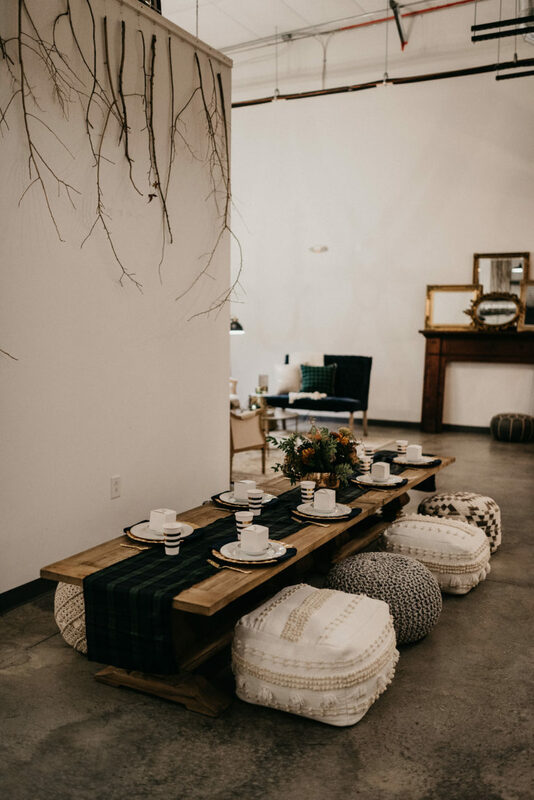 We can set the space up casually, such as soft seating areas, or a little more formal with our farm tables and chairs. 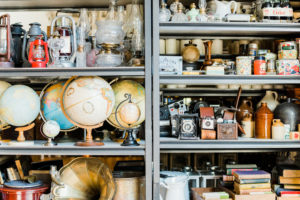 You can tell us a theme or let us come up with the design and decor. It's that simple! This week, we are hosting our very own employee party/Thanksgiving Potluck Dinner. 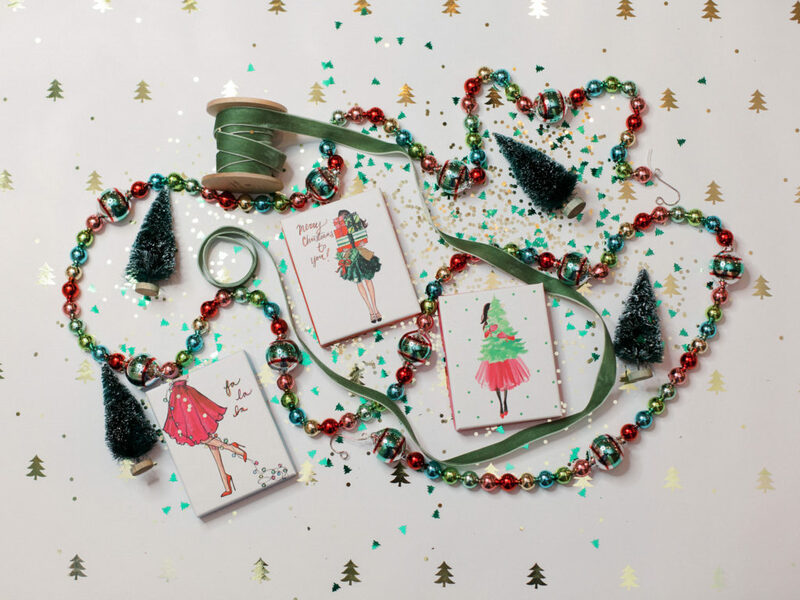 We are decking our space out in the holiday spirit and we want you to follow along! Check in with us on social media during the next two days to see some sneak peaks of the decor and some fun decorating tips! Who knows, maybe it will convince you to host your own party there!! So make sure you are following us on Instagram to see all of the fun!! 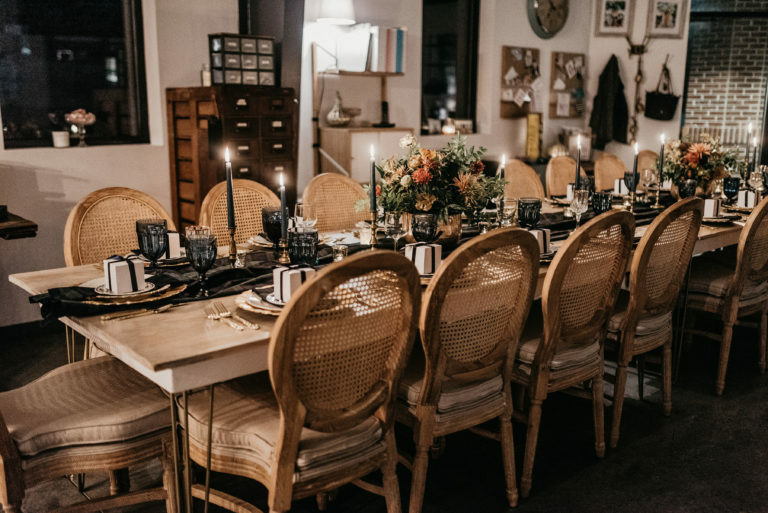 Popular Items from the featured images: Allie Chairs, Industrial Farm Tables, Colored Goblets, Hawthorne Couch, Captain Chairs, and Brass Candlesticks. NOW ACCEPTING APPLICATIONS FOR OUR 2018 FALL EDUCATIONAL INTERNSHIP 16 WEEK COURSE! 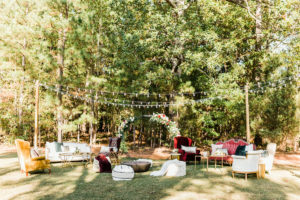 We are a Raleigh-based company specializing in unique specialty rentals for corporate events, weddings, photo shoots and more. 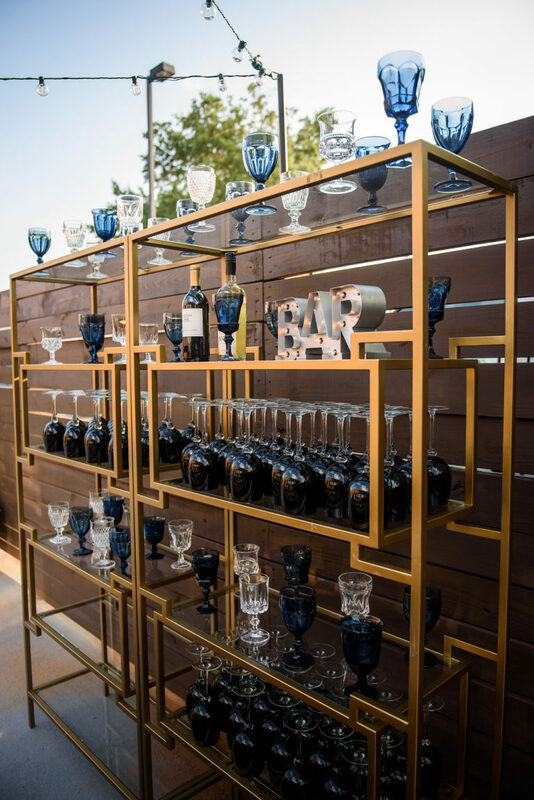 We help clients develop their vision by assisting in the utilization of our stunning, one-of-a-kind rentals. 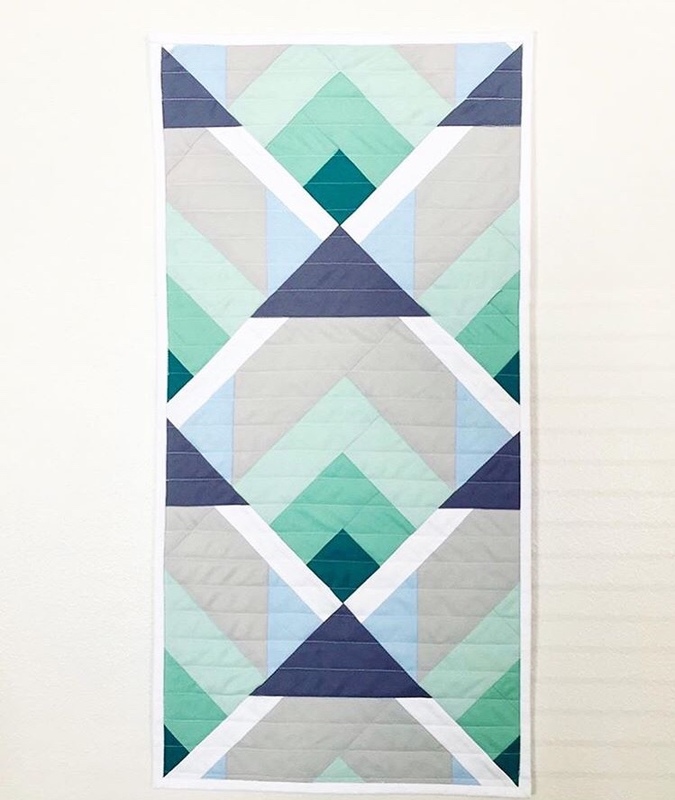 We are obsessed with the latest trend and will bring your Pinterest dreams to life. We are so excited to be offering our first ever immersive internship course. 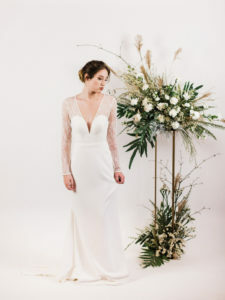 We are eager to share our knowledge with individuals who are interested in a potential career in the wedding industry. 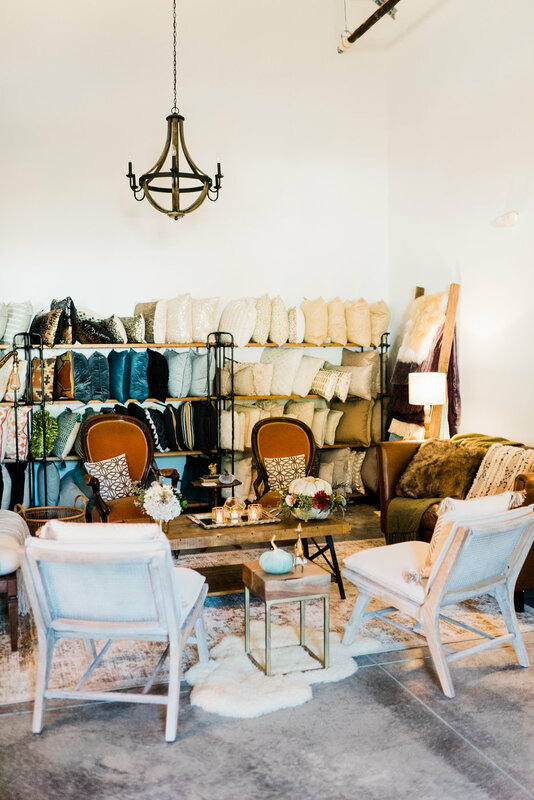 We will handpick interns to join us in a 16 week internship course diving into all the “must knows” for working in the wedding industry while getting first hand experience behind the scenes. 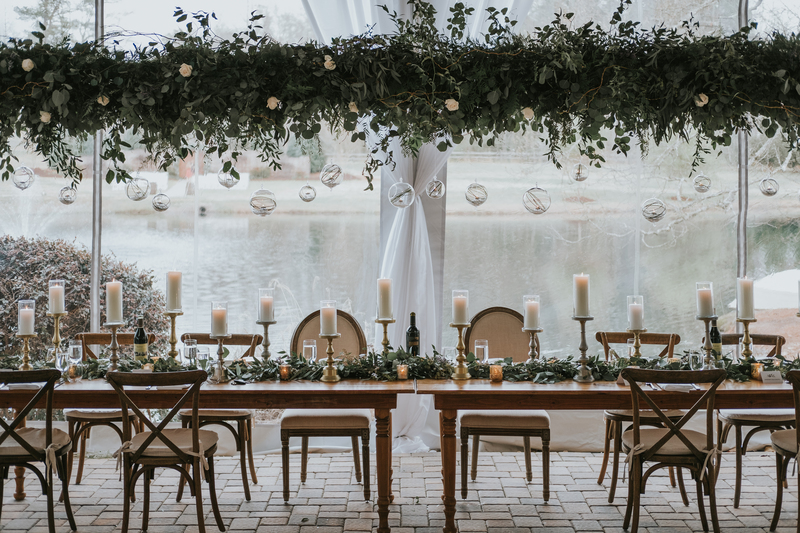 Illustrate proficiencies and skills relevant to the operational areas of a rental company, specifically within the wedding industry. 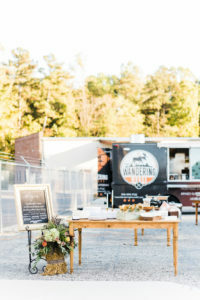 Identified 3 local event suppliers/ vendors, at least on caterer providing food and beverage. Developed a timeline for event planning and a schedule of events. Eligible participants must be 18 years of age, a current graduate, or undergraduate college student, have a valid driver's license with auto insurance and is available to work occasional weekends. Proficiency with Google Docs and WordPress are desired, but not required. Our ideal intern would be pursuing a career in the hospitality, wedding, or events industry. 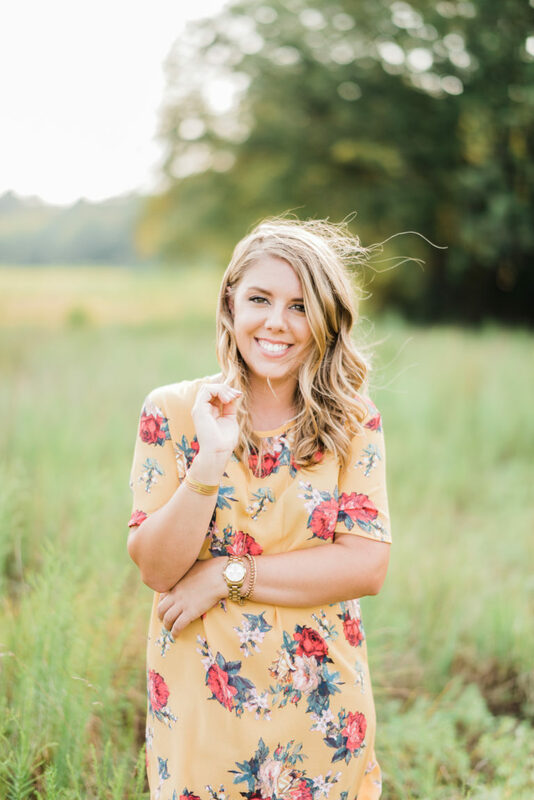 Our intern would ideally be energetic, creative, and adaptable at a moment’s notice, with the ability to be a self starter and think on their feet. 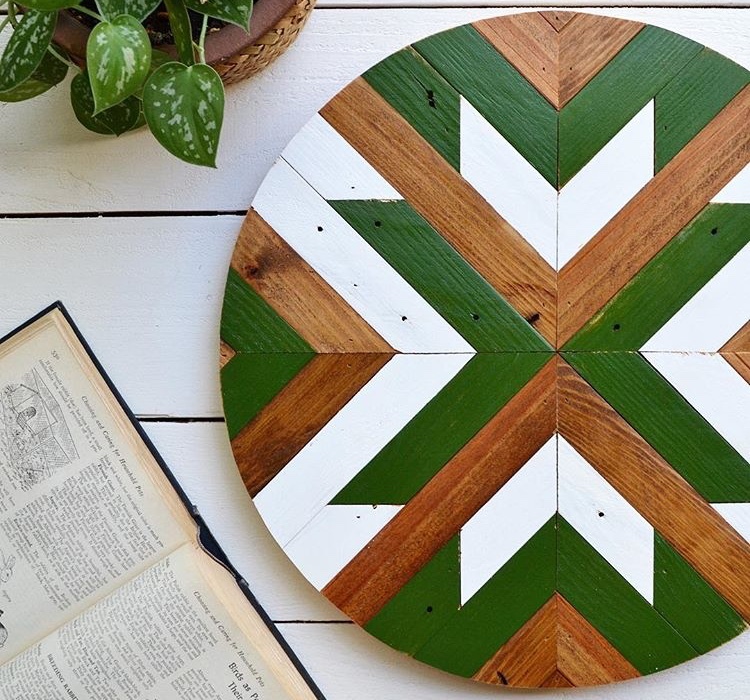 Bonus points if you aren’t afraid of a little DIY furniture rehab. If you are organized, detail-oriented and are driven by passion and creativity, stop what you’re doing and complete the following application by September 14th, 2018. Do You Have Any Experience With Events? If so, explain. If You Have Any Social Media Accounts, Please List them Here. Upload Resume Please use JPEG or GIF. 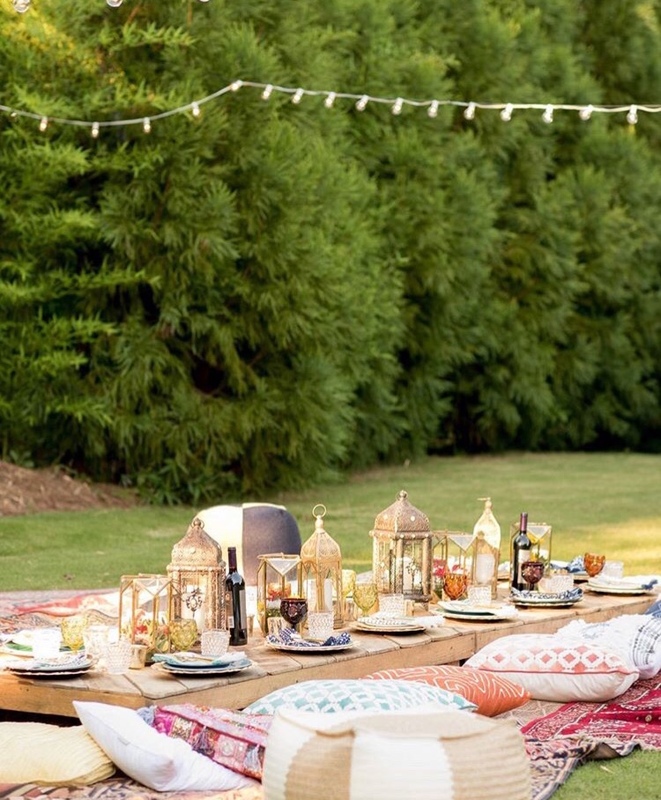 Fall is Coming….So Throw that Backyard Summer Party! With the month of August coming to an end, we are beginning to look for Fall and those cooler temperatures. With Fall being our busiest season over here at Greenhouse Picker Sisters, we are taking these last few weeks to enjoy the heat, lounge in the pool, and spend time with our friends and families. We love a summer party and we know you do too! So grab your friends, some good food and drinks, some fun decor, and ring out the end of the summer! 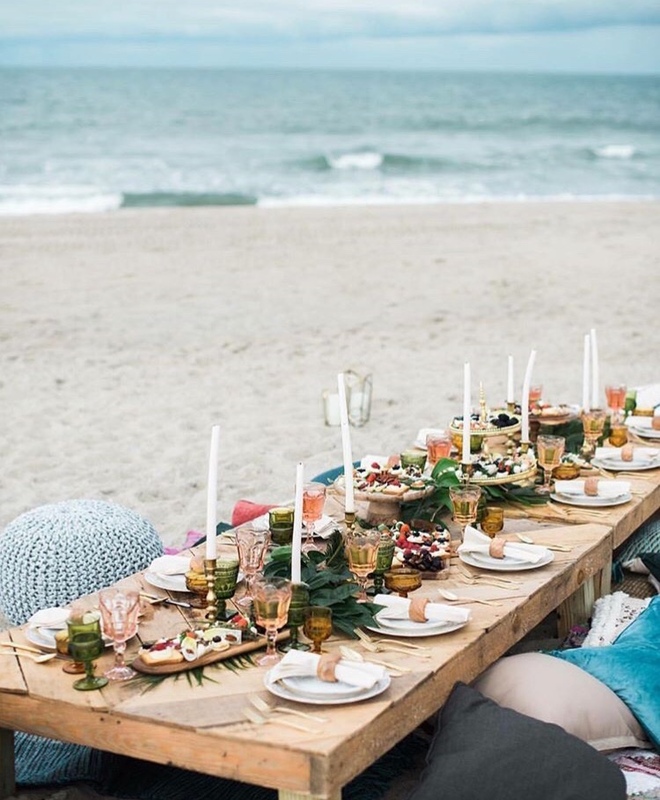 In the images above our Pallet Table is on full display on the beach! We love being on the beach and throwing a party this awesome is even better! 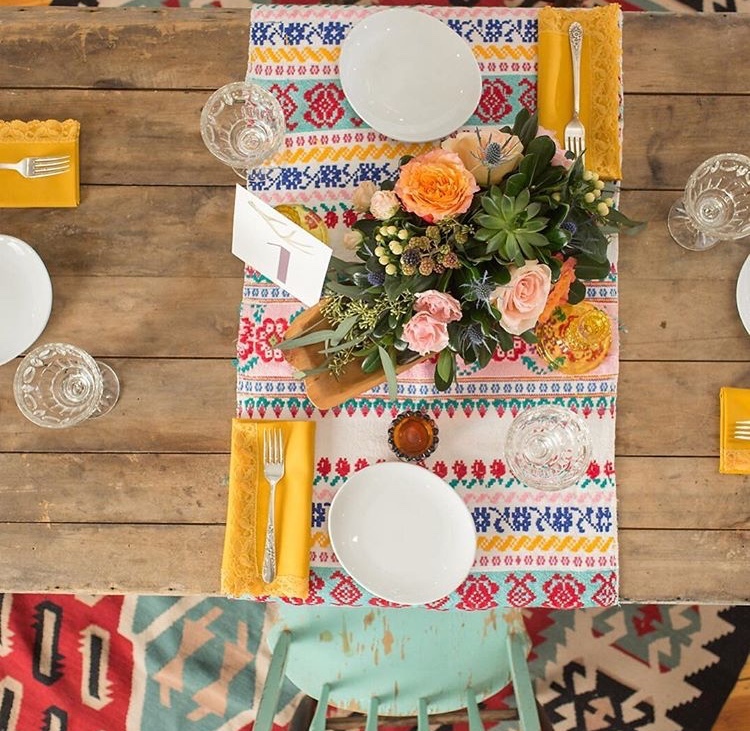 Who doesn't love a bright, fun, summer dining table setup? 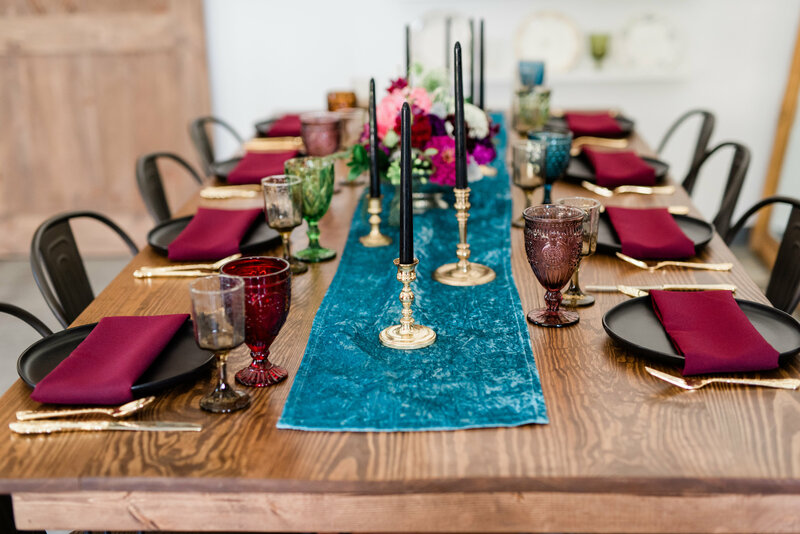 Our Whitewash Farm Table looks beautiful with a set of colorful goblets! Lounging on a pile of poufs and boho pillows is the perfect way to end an evening and gaze up at the stars. 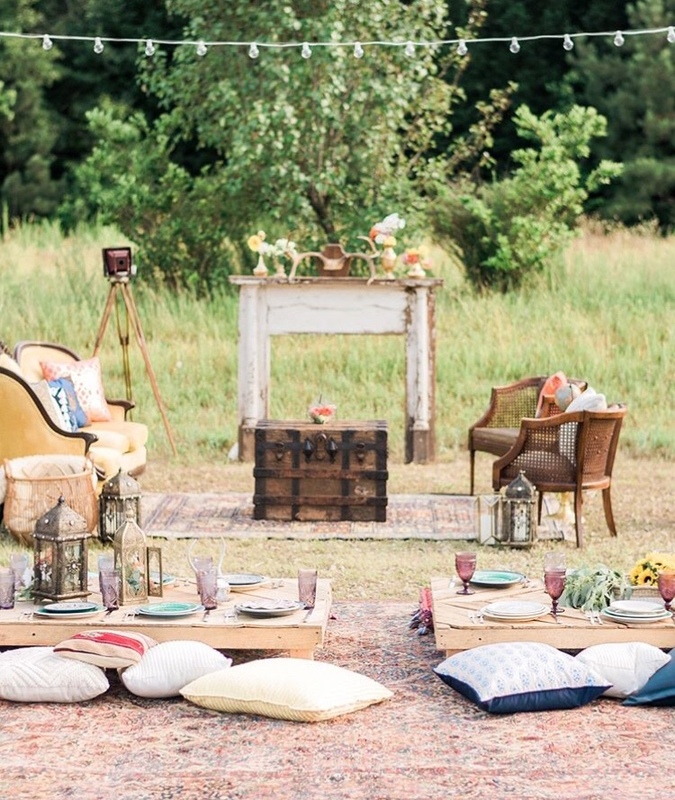 Boho lounges practically scream summer and all of the images above are doing their best summer interpretation! Our Palmar Chairs mixed with the Lillian couch are the perfect way to show off that warm, sunny weather! 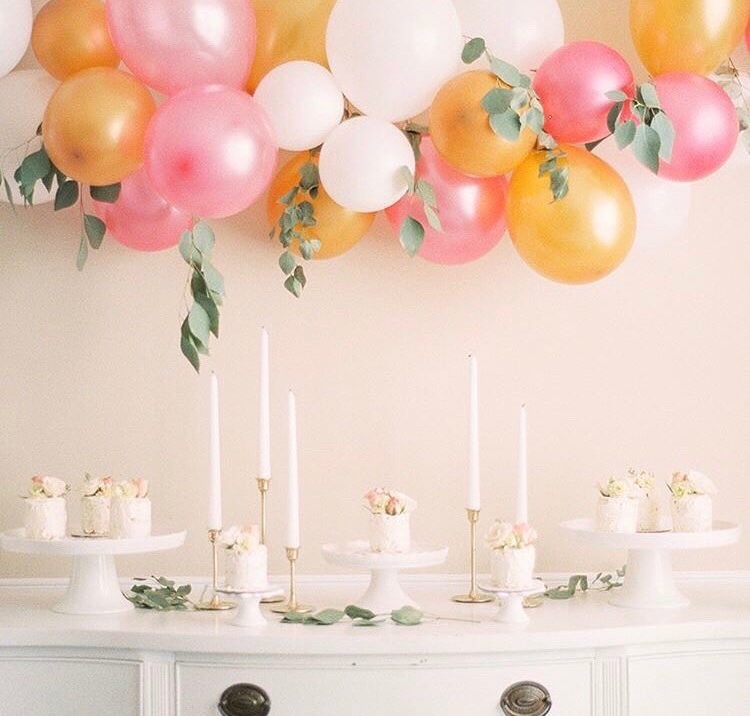 The Lorelai Buffet looks super cute with this beautiful balloon display above it and an array of cakes on top! 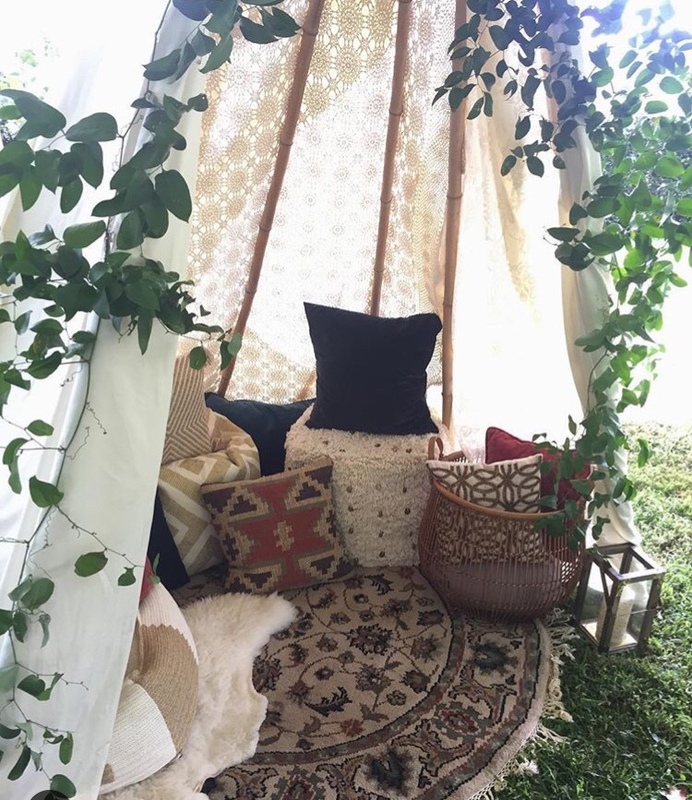 Teepee's are an awesome accessory to any backyard bash. Throw a rug and some pillows in, and you have yourself an epic lounge! The Summer of 2018 has been a crazy one for us here at Greenhouse Picker Sisters. 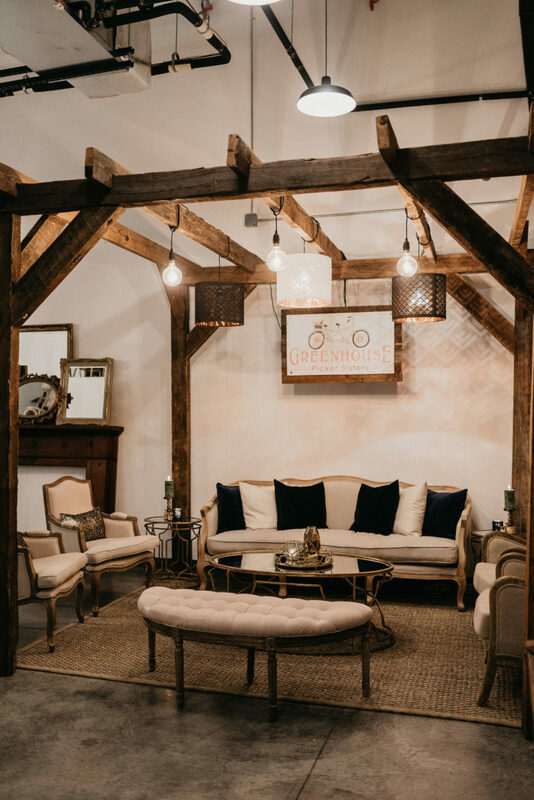 We have had weekends full of weddings, open houses, corporate events, and the best event was the arrival of our new inventory. On an early Friday morning in the beginning of July, a large transfer truck pulled up to our warehouse and delivered all of our new inventory. We were beyond excited! We now have a full set (200 to be exact!) 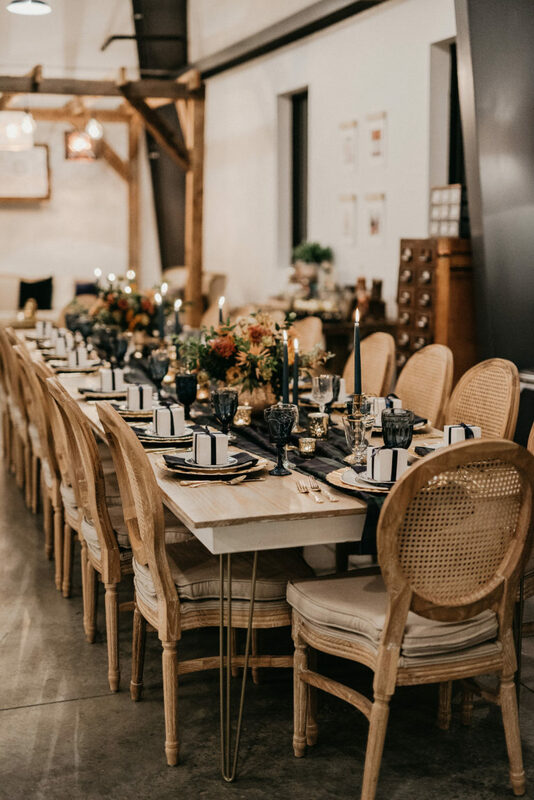 of ceremony Bentwood bistro chairs , Bentwood barstools, upholstered Allie chairs, Gold Alexandra Bar Backs, White Farm Tables, and 5 sets of linen and industrial lounges! With all of our new inventory coming in, we needed to find a way to showcase it to the community. 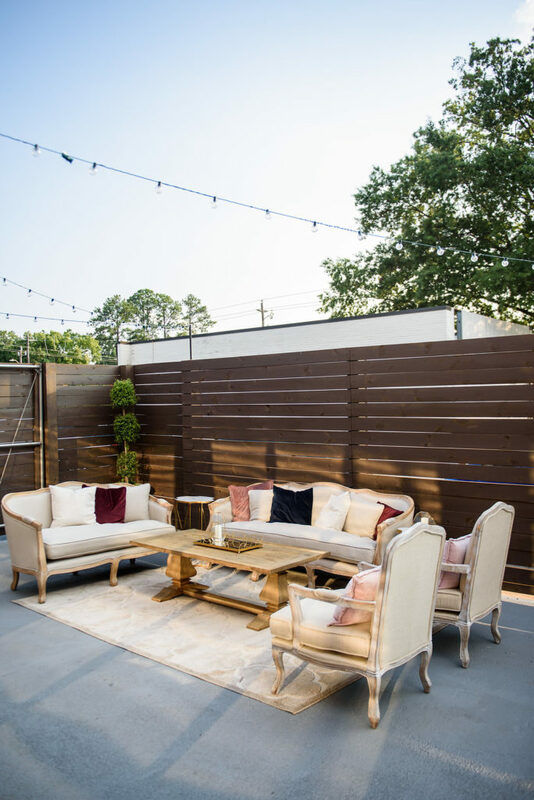 Well lucky for us, a brand new venue called Chatham Station in downtown Cary, was preparing for their first open house and we were asked to participate. We obviously said yes because they're venue is beautiful! 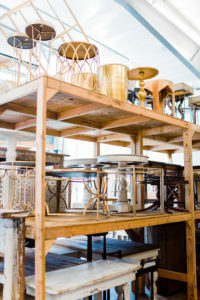 We brought all of our new inventory and set it up to showcase the furniture and the amazing space. We love partnering with venues and wedding vendors in the area, and working with Chatham Station is no exception. 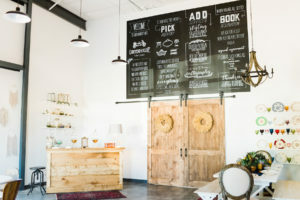 If you haven't been by their new space, go check it out! 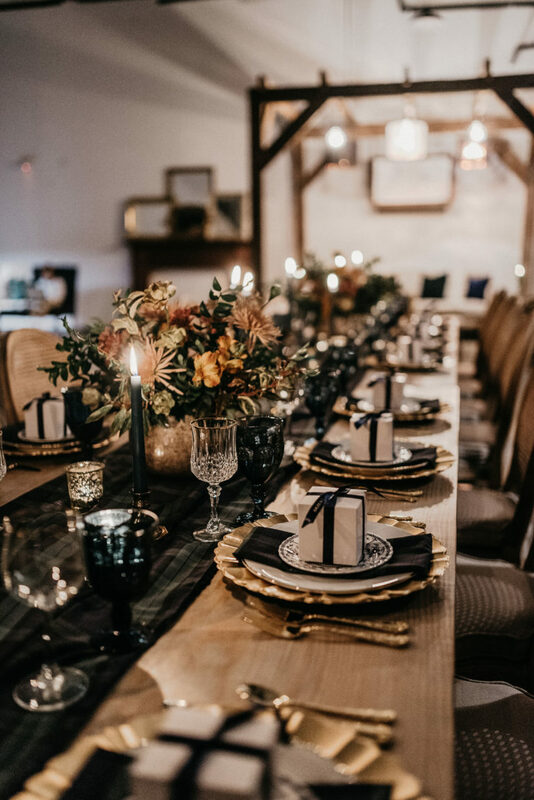 We are also offering awesome packages and discounts to clients who are renting Chatham Station and are wanting some beautiful rentals in that space. 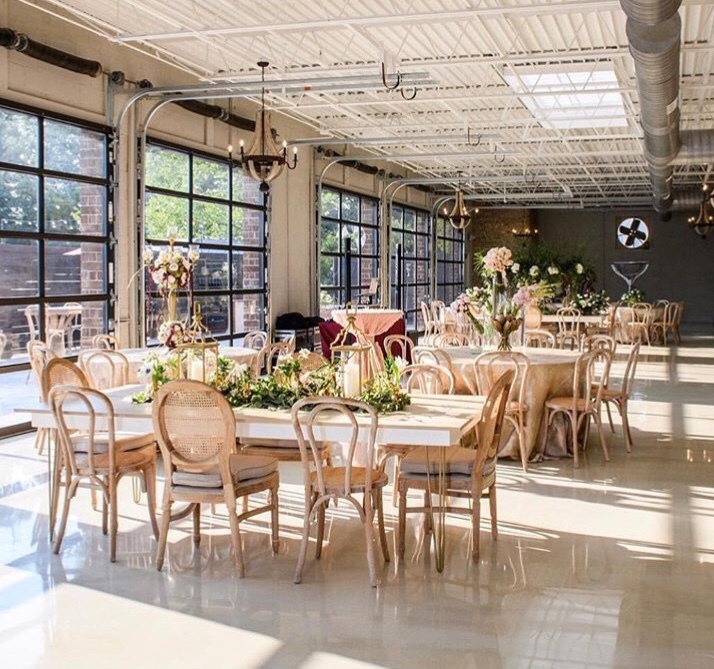 So check out the venue or shoot us an email at info@greenhousepickersisters.com to get started on planning your next event at Chatham Station! 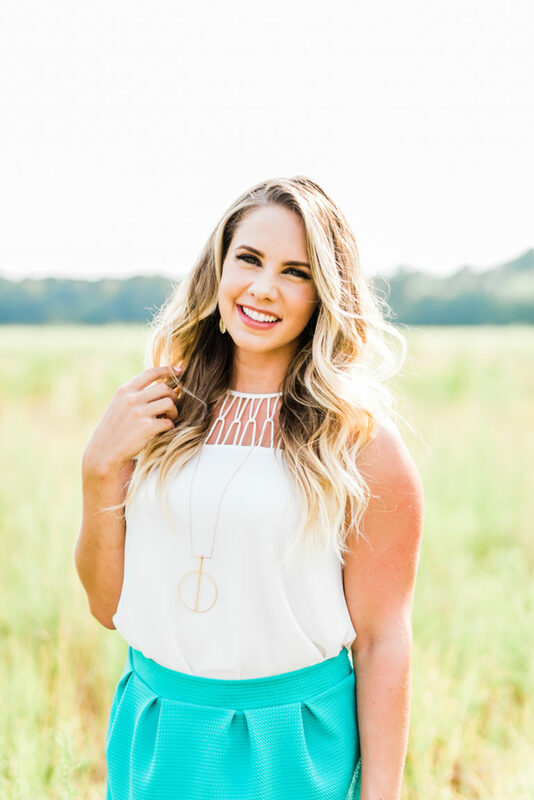 Studio Space, A Camera, and Rentals…. Attention all photographers!! With the brutal heat of summer upon us, are you looking for an inside space for your next shoot? Do you like the idea of finding a space and has rentals? 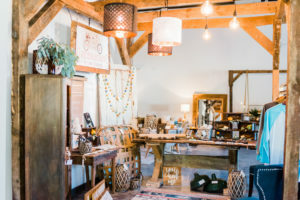 Then the Studio Space at the Greenhouse Picker Sisters Market is the spot for you! 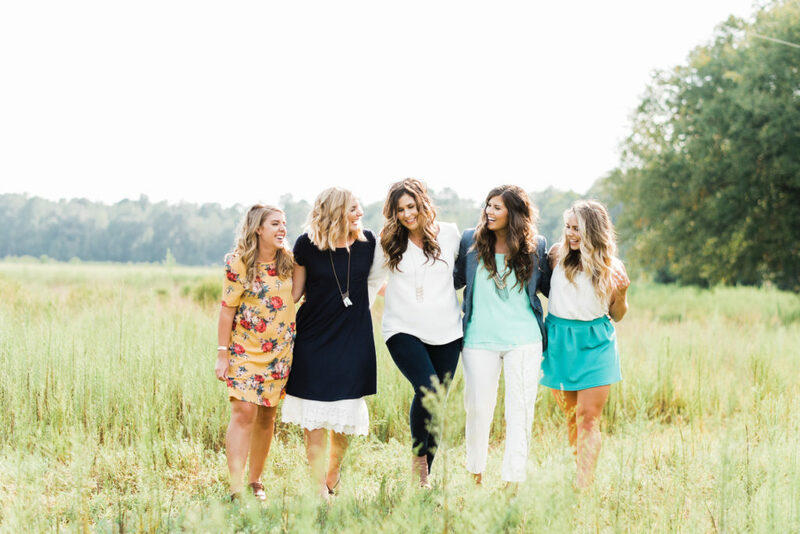 We absolutely love hosting all kinds of fun events, and photoshoots are no exception. From wedding shoots to headshots, we can host them all. Our studio space offers natural light, white walls, and the opportunity to use our rentals. 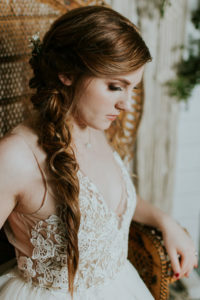 Photoshoots are such a fun way to connect with others in the industry and those who are creatives. We'd love for you to send us a message at holly@greenhousepickersisters.com, or come on out and see the space for yourself! If you're curious about our studio fees, check out our Q&A tab! At Greenhouse Picker Sisters, lounges are at the core of what we do and offer our clients. 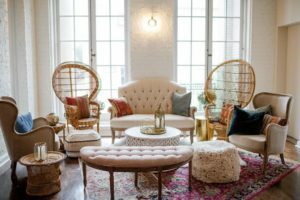 Lounge furniture can be a great way to add a comfy and cozy element to your wedding, corporate event, baby shower, or party. 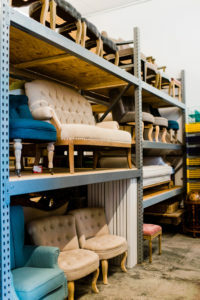 With a variety of furniture options, we can accommodate every client’s needs. 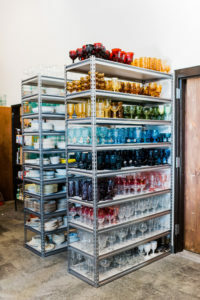 We have vintage furniture, modern furniture, colorful furniture, or clean line furniture. Any thing you can think of, we have! 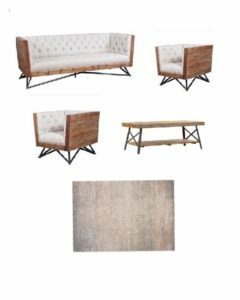 In the image above, we put together a fun, neutral boho lounge for a client in Virginia. 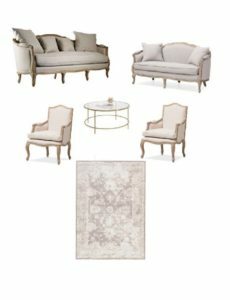 Our Audrey Loveseat, Peacock Chairs, Laura Chairs, Jamie Bench, and Anna Coffee Table all complemented each other nicely to accomplish this neutral boho look. 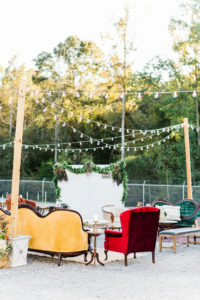 At our very own AnnaLaura’s wedding, we put together two colorful, fall, vintage lounges to complete the scenery at The Sutherland. On one side our Genevieve Sofa, Arthur Chair, and Bertie Chair tied well with an Audrey Coffee Table on each side. To the right, we have our Elizabeth Couch, Alden Chair, and Katie Chair. To blend both of these lounges, we placed our Circle Arbor in the back. We are excited to announce that we are now offering prearranged lounge sets with our new furniture! If the idea of picking out different pieces of furniture that complements one another overwhelms you, then this is the package for you! We have selected pieces of furniture that complement one another well and bring forth a unified look in a lounge. Here are our first two sets. The first package is our new Linen Lounge Package, and the other image is our new Industrial Lounge Package. When you choose one of these packages, you receive all of the items in the image plus pillows and small accessories to help tie it all together. We are so excited to offer this to our clients and keep an eye out for new packages coming soon! 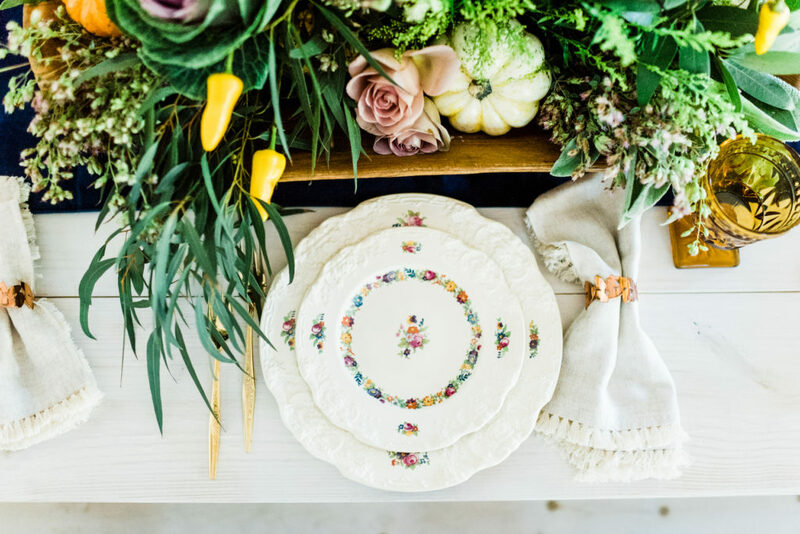 Over at Greenhouse Picker Sisters Marketplace, we can find plenty of reasons to throw a party! We love to gather with friends, family, and coworkers to enjoy one another’s company, good food, good drinks, and great music. 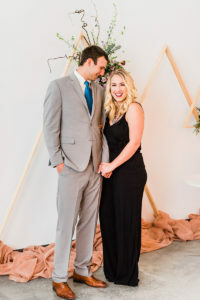 Last October we had our first gala at our new space and it was an absolute blast! After many sleepless nights and moving all of our inventory to our new warehouse, we put the finishing touches on everything and threw an amazing party for all of our friends, family, and vendor friends. Our retail shop in the marketplace! 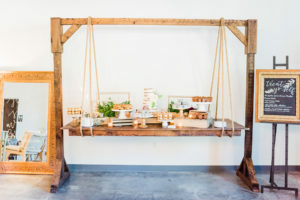 Here our Hanging Table is a perfect option for a dessert display! We now have one in white as well! White Hanging Table. Some of the best desserts we have ever had were provided by Stick Boy Bread Company! We gathered at the Marketplace and had such a blast! We had food from food truck The Wandering Moose. They served some of the best bacon mac and cheese, brisket grilled cheese sandwiches, crab cakes, pulled pork lettuce wraps, and the list goes on! 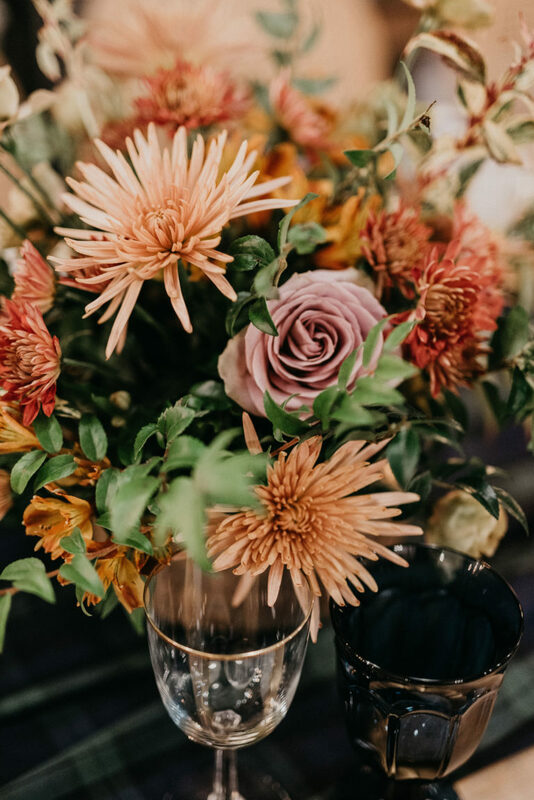 Specialties Florals and Events provided the most beautiful flowers for our tables and warehouse. Here is some of her work in front of our White Door Backdrop. Vendors: Mason Dixon Calligraphy, Specialties Florals and Events, Wandering Moose Food Truck, Stick Boy Bread Company, A.J. Dunlap, Liveview Studios, J&S Wedding Music, Ashley Mooney, and Pam Denney.